The Moon snuck in front of the Sun this morning from the perspective of NASA Solar Dynamics Observatory (Little SDO), sliding past the sunspots of active region 1422. 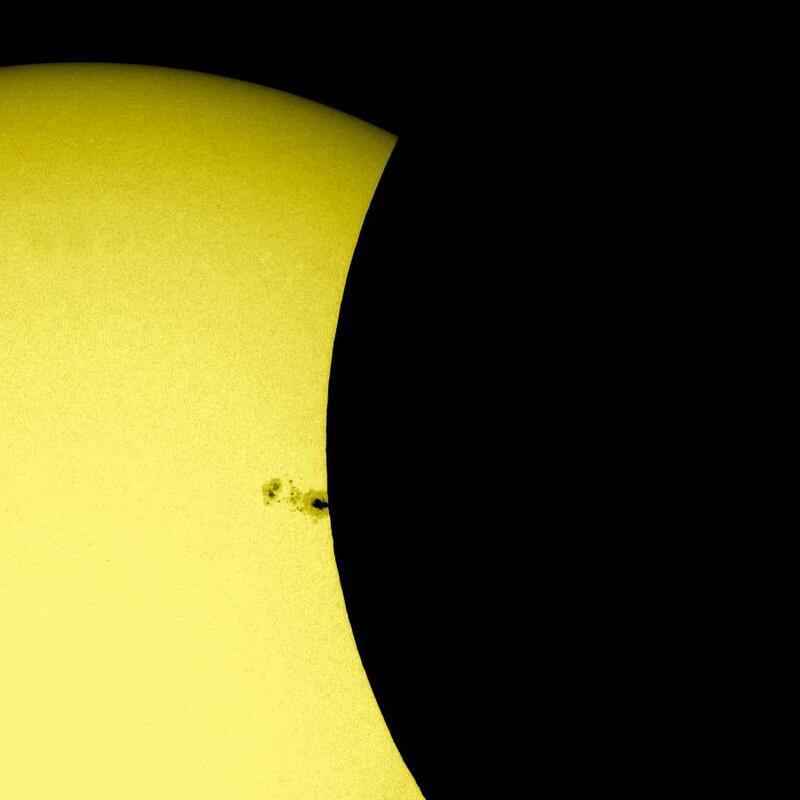 For a sense of scale, those sunspots are easily several times larger than Earth! : ) Now I can’t watch this without thinking the sun ‘looks surprised’! They talk about the Man in the Moon but I think the Sun is much more expressive! Pingback: …things I LOVED! Week March 12th through March 18th « …things I LOVE!